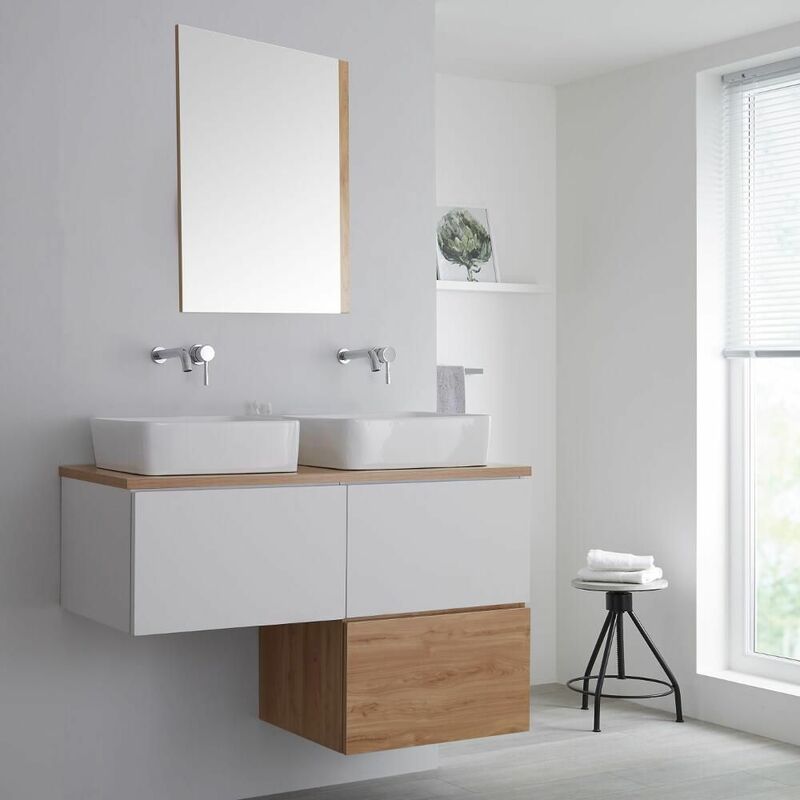 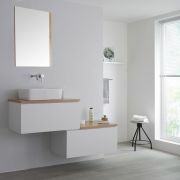 Create a bold new look in your bathroom with the modern wall-mounted Milano Oxley 1200mm L-shaped vanity unit and dual basins. 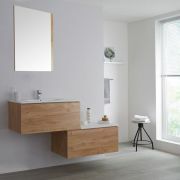 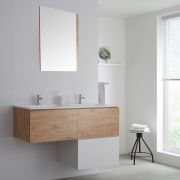 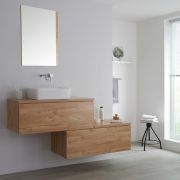 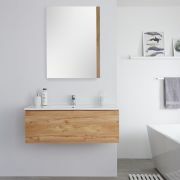 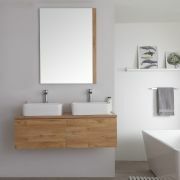 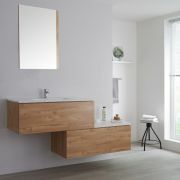 Blending matt white and golden oak woodgrain finishes to form a stunning combination, the Oxley vanity unit is as eye-catching as it is practical. 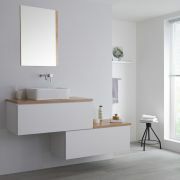 Storage is provided courtesy of three well-proportioned push to open soft close drawers to enable you to maintain a minimalist look in your bathroom by storing your bathroom essentials out of sight. 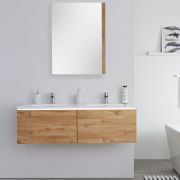 The style is backed up by robust construction thanks to the moisture resistant engineered wood that offers long-lasting durability. 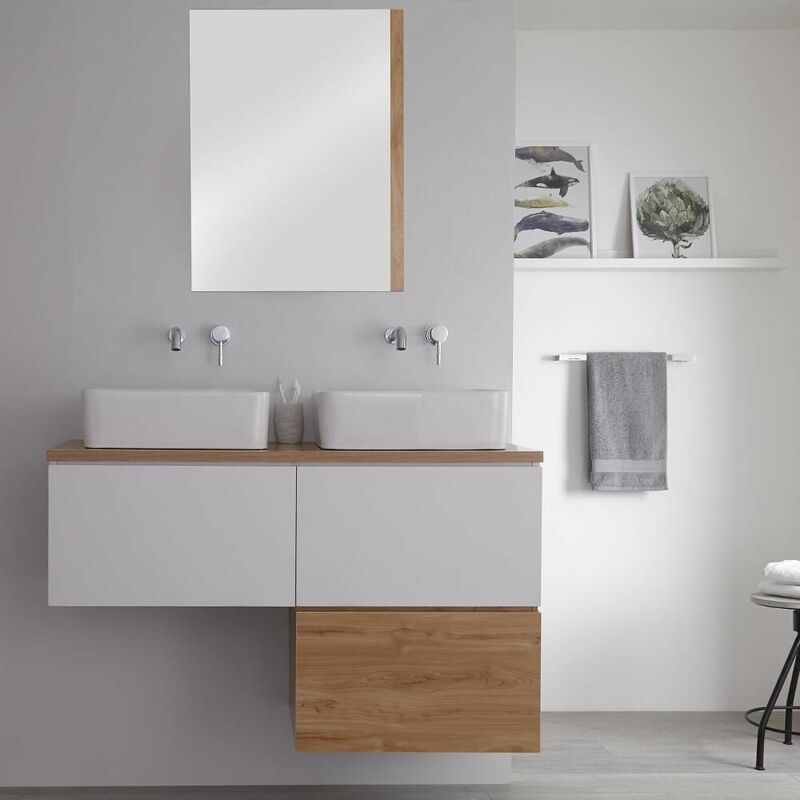 The two rectangular countertop basins, made from high quality ceramic with an easy to clean white glaze finish, continue the contemporary theme and allow for the ‘his-and-hers’ look. 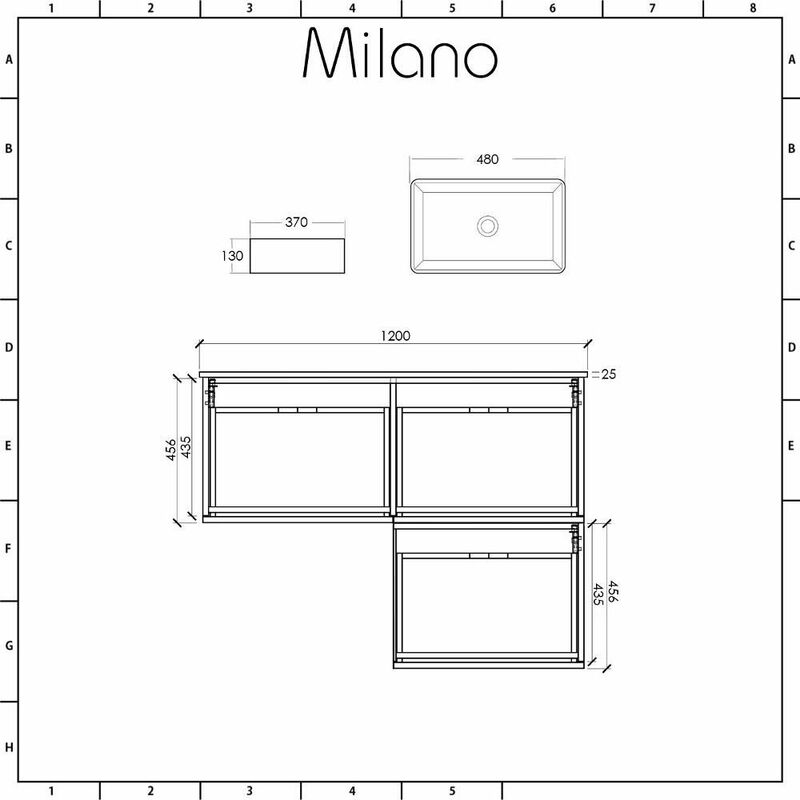 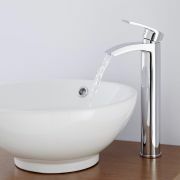 The basins are not fitted with tap-holes and so are suitable for use with wall-mounted or high-rise taps from our range.